Year 6 teams participated in Write-a-Book-in-a-Day in August 2016. Teams wrote, illustrated, bound and published an original book in a 12 hour writing marathon, raising funds for the Kids’ Cancer project at the same time. 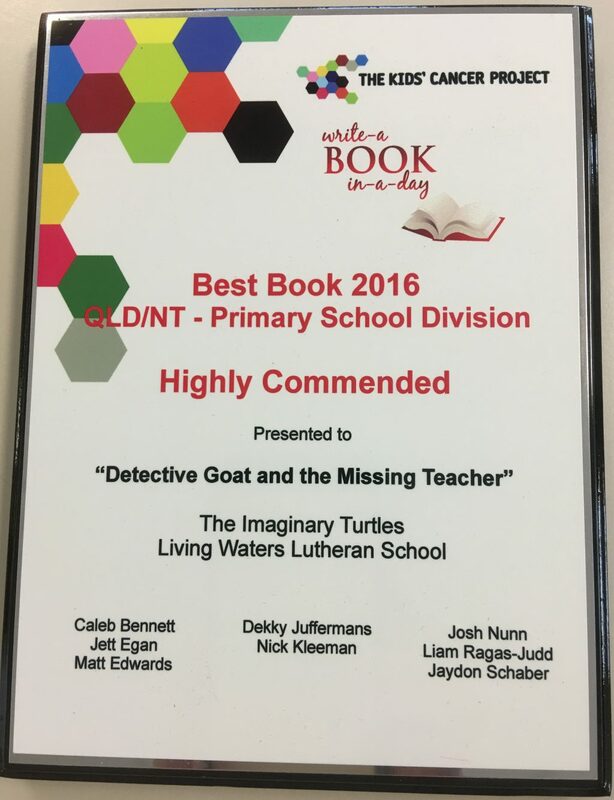 The Book Worms won the Best Book category in QLD/NT Primary School Division for their book “Detective Goat and Missing Teacher”. Congratulations to the team.